Check back often! We update this page weekly. Full details about bursaries for teachers and students are found in the link below. Aligning classroom assessment with the redesigned curriculum: Assessing with curricular competencies and content in mind. This three-part series explores assessment within the context of the redesigned curriculum, with a focus on secondary schools. Districts and schools are invited to gather a team of educators to live-stream the event together in local groups. The goal is to facilitate meaningful, practical, and local conversations with simultaneously engaging in a province-wide dialogue. Discover the Francophonie in all its forms, beyond the classroom on sunny Burnaby Mountain! Experience a full week combining pedagogy, French language, art and outdoor activities to help you explore and reflect on your own French teaching practices. Spend one week in the summer improving your French. Some of our teachers have said the Bootcamp was their best Pro-D ever! There is a week for Core French teachers as well as a separate week for Immersion teachers. $100 for the whole week thanks to bursaries! Allez-y, inscrivez-vous! On April 7–9, check out the annual Digital Learning Symposium at the Delta Burnaby Hotel. Discover innovative learning models supporting new curriculum in digital learning environments. This event is brought to you by the BC Partners in Online Learning, BlendEd BC, Educators for Distributed Learning, and the Canadian eLearning Network. Registration is open for groups and members! Not a member of the Educators for Distributed Learning PSA? Click here to sign up (BCTF members only). The 2019 Annual Conference will be held at the Tigh-Na-Mara Resort and Spa on April 12 & 13, 2019. The programme is now available and registration is now open. Dr. Renée Bourgoin will be this year's conference keynote. She is a co-author of Access for Success: Making Inclusion Work for Language Learners. In her text, she explores Universal Design for Learning and practical language learning strategies for all students to address the needs of today's diverse learners. Renée's research and strategies are backed by years of classroom experience and hands-on expertise. Her resources can be used by all second language classroom teachers who seek to make inclusion part of their classrooms. Join Alanis Obomsawin, matriarch of indigenous filmmaking, for a screening of her first feature-length documentary. Obomsawin has pioneered the recognition of indigenous First Nations rights and cultural understanding through her art for nearly half a century and we are thrilled to have her join us at the screening to discuss her work. The JFT Online EdCamp for Japanese Language Teachers is a study group where the participants play leading roles. Discussion topics are decided on by participants on the spot. Participants are welcome to suggest topics related to any problems they may have or something they want to hear others' opinions on, etc. The goal is not to listen to success stories, but for participants to work together to solve problems. CASLT joins forces with the Second Language Research Institute of Canada (L2RIC) at the University of New Brunswick to hold our 7th national conference for second languages educators. The 2019 Languages Without Borders (LWB) conference will be held at the Fredericton Convention Centre, New Brunswick, from May 2–4, 2019. 2019 LWB will yet again offer a wide array of professional development sessions, pedagogical resources, and networking opportunities. CAJLE (Canadian Association for Japanese Language Education) holds an annual conference which includes lectures and workshops by guest speakers, as well as research presentations and a general meeting. The conference provides a great opportunity for participants to exchange information and opinions on Japanese language education and Japanese linguistics. The CAJLE 2019 Annual Conference will take place in Victoria, BC. Theme: "Hyōgen" Literacy: Exploring Japanese Language Education in a Diversifying Society from the Perspective of Communication"
This specialized program is designed to take place over the course of two weeks for 4 hours a day in the mornings from Monday through Friday. During the high season in June and July, dependent on the number of enrolled participants, classes can take place in the afternoon, as well. Outside of class, students have the opportunity to go on excursions to visit the best tourist destinations in Costa Rica permitting participants a well-balanced mix of learning, culture, and fun while at CPI. Available year-round at all three locations (San Joaquín, Monteverde, and Flamingo), CPI highly recommends participants enrolled during school vacations -- such as: spring break, summer vacation, and winter break. Classes include textbooks, program certificate, and free weekly cultural activities. Historically, BC teachers have been eligible for a Canadian Heritage bursary that covers up to half of the program cost if they speak French as an additional language or will be involved in the teaching or supervision of French programs. We anticipate the bursary will be confirmed in January. En collaboration avec le Bureau des affaires francophones et francophiles, SFU offre encore une fois cette année des camps de jour en français! Parfait pour les jeunes qui considèrent l'immersion tardive. Idéal pour les jeunes du programme d'immersion précoce ou francophone. The Department of Asian Studies, at the University of British Columbia, is pleased to invite you to their 11th Annual Harjit Kaur Sidhu Memorial Program. Join them in celebrating over 30 years of Punjabi language at UBC on March 14th! Featuring student performances, awards and talk with Lahore-based poet and critic, Mushtaq Soofi. This event is free and open to the public. Please register online. A larger discussion with Mushtaq Soofi. JETAABC is excited to invite high school students learning Japanese to participate in the second Metro Vancouver Japan Bowl on Saturday March 9, 2019. The Japan Bowl® is a Japanese language and culture competition for high school students who are studying Japanese. The Japan-America Society of Washington DC organized and hosted the first Japan Bowl in 1992. The competition has since been expanding overseas and is now held in Poland, England, Italy, Mexico, Serbia, Bulgaria, France, etc. The inaugual Canadian Japan Bowl was held February 24, 2018. Venez en grand nombre célébrer la francophonie lors de la French Fête. Cette activité est idéale pour les groupes de la 8e à la 12e année mais tous les groupes d'âge sont les bienvenus. Hakuho Scheme for a Global Children’s Japanese Language Network is now accepting applications from overseas schools for participation in the 11th Hakuho Japanese Language Exchange Program. * Applications for the Hakuho Japanese Language Exchange Program are open to schools with Japanese language programs for students aged 12-16 years old. Students 17 years old and older are ineligible to participate. Kabuki Theatre, with origins dating back to the 1600s, has remained steeped in tradition while constantly innovating itself. Live productions, featuring some of today's greatest Kabuki stars, are now being filmed with the highest resolution cameras for screening in cinemas around the world on state-of-the-art digital projection systems and six-channel sound. Attend this year’s 44th annual Crosscurrents Conference hosted by the Teachers of Inclusive Education (TIE-BC). Keynote speaker Dr. Ross Greene will discuss the key themes of the Collaborative and Proactive Solutions (CPS) Model and transforming discipline in the school system. The extremely popular Explore program has expanded! There is now a three-week option for students aged 13-15 to participate in this enriching immersion experience all in French at one of three sites: Jonquière, Que., La Pocatière, Que., and Moncton, New Brunswick. There is a registration fee of $ 275 and students pay their return transportation to the site. Participants in Explore can receive funding that covers tuition fees for the programs, instructional materials, meals and accommodations, workshops, and other activities. The program will be offered twice in 2019: July 1 to 22 and July 22 - August 12. Visit the website myexplore.ca and choose the youth option for more details. Students need to have completed their application by February 15, 2019. Each of BC's new curricula has imbued Aboriginal ways of knowing along with the First Peoples Principles of Learning. Many teachers may be wondering how to infuse these philosophies into the new curricula. This MOOC (Massive Open Online Course) from UBC will assist teachers in finding resources to supplement to their curriculum while at the same time broadening their their understanding of Indigenous education not only in Canada - and in particular the BC context - but also the histories and cultures of other Aboriginal peoples around the world. This online course is delivered using the edX platform. To learn more about the particulars and requirements of this 6-week course as well as how to register, click here. It is recommended you watch the introductory video, and read the full description on the course webpage. Are you interested in the Neurolinguistic approach for the teaching of a second language? During these two sessions, education consultants David Macfarlane and Linda Osborne will provide a history of the development of the neurolinguistic approach for the teaching of a second language, with reference to intensive and post-intensive French, as well as Indigenous languages, and a short introduction to the five principles that underlie the approach. French session with David Macfarlane on January 8. English session with Linda Osborne on January 9. David Macfarlane has worked in the field of second language education, both in Canada and abroad. Learning specialist for many years with the New Brunswick Department of Education and Early Childhood Development, he was heavily involved in piloting the Intensive French program, training teachers in the NLA and participated in the development of a number of teaching units for the Post-Intensive French program. Since retirement, he has acted as an independent consultant and facilitates workshops across the country, specializing in the neurolinguistic approach and second-language oral proficiency evaluation. He is involved in the revitalization efforts for Indigenous languages in New Brunswick and the Northwest Territories. Linda Osborne is the educational consultant for Core French, Intensive and Post-intensive French for the Saskatchewan Ministry of Education. She represents Saskatchewan on the national council of the Canadian Association of Second Language Teachers (CASLT) and is also a member of the National Round Table on Intensive French. She has twenty-five years’ experience of teaching in French immersion and core French programs, from grade 1 to grade 12. She also teaches part-time at the University of Regina, where she works with students in the French Training Centre. ​A beloved holiday tradition for locals and visitors alike, the Vancouver Christmas Market features more than 80 huts of authentic German sweets, treats, and treasures. Visit Vancouver Christmas Market for more details. The ONLINE Lecture for Japanese Language Teachers Series features lectures, workshops, or interviews moderated by Mr. Murakami, Japanese Language Advisor at Alberta Education. The session will feature a talk by Ms. Yasuko Senoo from McGill University about Online Exchange Between Universities in Japan and Canada. This will be the first webinar examining resources of the Coup de Coeur series. Participants must register at the link above. This French webinar is open to all Core French and French Immersion teachers. ​Le premier Webinaire de la série sur les ressources COUP DE CŒUR en français aura lieu le 12 décembre. Inscrivez-vous dès maintenant au lien suivant: https://attendee.gotowebinar.com/register/7357004220534519811. Participate in a live French webinar examining the French Federal Funds for French Second Language programs in BC. Three experts will review the guidelines for these funds and participants will have the opportunity to direct questions to the panel of experts. Register for this event by clicking on the link above. Vous êtes invité(e)s à assister à un webinar en direct sur : Le financement des programmes d’éducation en français langue seconde M-12. Le 20 novembre 2018 à 15h30. Inscrivez-vous maintenant au lien ci-dessus. Trois experts vont vous offrir une présentation sur les fonds fédéraux pour les programmes de français. Vous aurez l’occasion de poser des questions en direct. The 2018 ACTFL Annual Convention and World Languages Expo of the American Council on the Teaching of Foreign Languages (ACTFL) will be held November 16-18 with pre-convention workshops on Thursday, November 15 at the Ernest N. Morial Convention Center in New Orleans, Louisiana. This year we will be incorporating the FIPLV World Congress (Fédération Internationale des Professeurs des Langues Vivantes) as part of the convention. The Convention features more than 800 educational sessions covering the whole spectrum of the language profession. The entire selection process is designed to provide attendees with an exciting array of sessions and events to further your knowledge and skills to become better, well-informed teachers and administrators. Join thousands of your colleagues from around the world. Early bird registration ends July 11, 2018. BCATML is excited to invite Sylvia Duckworth as this year's keynote speaker. Renowned speaker and an avid sketchnoter, Sylvia will share her experiences as an AIM French teacher and tech coach with more than 30 years of teaching experience in the public and independent school systems. Both a Google certified trainer and Apple Distinguished Educator, Sylvia will be sure to inspire all second language teachers at this year conference. Registration is now open! Captured live from London's West End, audience can experience the highly-acclaimed and dazzling musical An American in Paris: The Musical on the big screen beginning September 20th, 2018 at several locations in Victoria and the Lower Mainland. This new rendition of An American in Paris premiered in 2014 at the Theatre du Châtelet in Paris to ecstatic reviews. Visit www.anamericaninpariscinema.com to look for showtimes and tickets in your area. The Vancouver International Film Festival (VIFF) is just around the corner. This year's Spotlight on France features the very best of contemporary French film, including works from contemporary masters and reigning veterans alike. The full program will be announced on September 6th. The ONLINE Lecture for Japanese Language Teachers Series features lectures, workshops, or interviews moderated by Mr. Murakami, Japanese Language Advisor at Alberta Education. This session will feature a talk by Mrs. Misuzu Kazama from the University of British Columbia about creating your own online magazine. Information on scope-and sequence, homework, assessment, timed writing, classroom management, lesson planning, teaching with novels and more. * This workshop is appropriate for beginning and intermediate and even advanced TPRS teachers of all levels and of all languages. CAJLE (Canadian Association for Japanese Language Education) holds an annual conference which includes lectures and workshops by guest speakers, as well as research presentations and a general meeting. The conference provides a great opportunity for participants to exchange information and opinions on Japanese language education and Japanese linguistics. The CAJLE 2018 Annual Conference will take place in London, Ontario. Theme: "Diversity and assessment: Exploring the significance of assessment in a diversifying society"
Keynote Lecture: "Diversity of learners and 'assessment' in Japanese language education: To what ends and by what means should we assess?" Teacher Workshop: "Impact and expansion of CEFR in Japanese language education: From 2001 First edition to 2017 New edition"
"The CEFR in Ontario: informing classroom practice and enhancing student engagement through self-evaluation methods"
"Treasure chest system: the introduction of digital badges in autonomous learning"
The Learning First Peoples Summer Institute is designed to support educators to bring quality, authentic First Peoples teaching and learning into BC classrooms. Comprised of two different sessions, which can be selected individually, the sessions will introduce resources that focus on themes, issues and topics of importance to First Peoples learning and informed by the First Peoples Principles of Learning. Each session will include print resources, activities, and opportunities for professional dialogue and networking. A French language immersion program in the heart of Québec City! Develop your oral communication skills as well as an appreciation of Quebec’s unique culture during morning classes, afternoon workshops and field trips. Course content is focused on improving teacher-participants’ ability to converse in French by building on their classroom experiences and teaching interests. Instructors are experienced language educators who interact with participants both inside and outside the classroom, making this a truly immersive language experience. 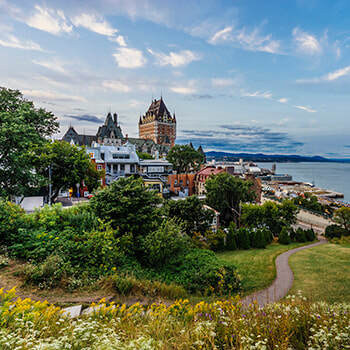 The program is offered during the Quebec City Summer Festival; a chance to experience everything from street musicians, concerts and plays to parades and fireworks on the St. Lawrence River. BURSARY for BC Teachers:BC teachers are eligible for a Canadian Heritage bursary that covers up to half of the program cost if they speak French as an additional language and are or will be involved in the teaching or supervision of French programs. Click here to register online by May 1st, 2018. You wish to learn or update your French language around thematic cultural tracks over the summer? The International Summer Courses (CIE) of Carré international of the Université of Caen (Normandy) are meant for you! The courses are intensive programs combining 45 hours of French language training in the morning and 30 hours of thematic tracks in the afternoon — that is a total of 75h of training per session. Courses are available for levels A1 to C1. Online registrations starting January 11, 2018.
a) In principle, those who are currently employed by the applying organization as a Japanese-language teacher and who will continue teaching in the aforementioned organization after their return. * If you are a Japanese-language teacher who does not meet the above eligibility requirements but still wishes to participate in this program, please contact Ms. Noriko Saito at nsaito@jftor.org. b) Those who did not complete their compulsory education (elementary and junior high school, 9 years) in Japan. Workshop: This is a four-day workshop designed for non-native Japanese language teachers, including a one-day workshop open to other teachers on the first day. For the first day, Mr. Murakami will conduct a workshop: "Teaching Japanese as an Autonomous Learner." The remaining three days are an "overnight camp" workshop, focusing on autonomous learning with the goal of brushing up participants' Japanese skills. JFT will bear the following expenses in accordance with its regulations. BCATML is excited to partner with CASLT to bring another CASLT CHEZ VOUS (CASLT co-sponsored Pro-D for teachers) to Vancouver! Sylvia Duckworth will present a full day workshop for all language teachers about using technology in the language classroom and on how to sketchnote! This will happen at the Hilton Vancouver Metrotown Hotel on May 12, 2018 from 9:00-3:00. Coffee will be served from 8:30am. Bring your technology! Read her workshop description and bio for more details! Come and have fun learning! The CCERBAL (Canadian Centre for Studies and Research on Bilingualism and Language Planning) Conference will occur on May 3-4, 2018, at the University of Ottawa. The conference theme is Translanguaging: Opportunities and Challenges in a Global World. We are very excited that the day will begin with 10-12 Student Ignite presentations on a variety of topics. Following the student presentations, session proposals and voting will take place. There will then be three participant-facilitated sessions. Lunch will be provided free of charge. Please see the attached flyer and share it with any colleagues, friends, students, etc whom you feel may be interested in participating. For details, please visit the Edcamp Delta website. If you'd like to register, please visit our Registration page. Space will book up quickly so make sure you register early for Whistler 2018 on April 27th at the beautiful Whistler Hilton Resort! BCTF members - $130/ $150. Non-BCTF members, out-of-province, and administrators - $150/$170. TTOCs, student/retired teachers, para-professionals, and SEAs - $70/ $90. Registration closes April 22, 2018 or when sold out. No wait lists available. Workshop proposals and exhibitor requests are now being accepted for this annual conference. Language teachers are invited to submit a workshop proposal. Visit https://edfling.ourconference.ca to submit your proposal. The Spring Fling is for educators in SD57 (Prince George), SD28 (Quesnel), SD91 (Nechako Lakes), SD27 (Caribou-Chilcoltin) as well as other educational professionals, advocates, specialists, and community members from Prince George and beyond. Registration for this conference will open in February 2018. Collingwood School in West Vancouver is hosting an exciting, free language-teaching professional development opportunity on Monday, April 16th from 9:00 AM - 2:00 PM. FrEd / LEd (French Education/ Languages Education) Camp will be a chance for languages teachers from the Lower Mainland to network and exchange teaching resources and ideas. Based on the Ed Camp philosophy, the day will be participant-driven with the intended outcomes originating from discussion prompts on the BC Core Competencies, First Nations integration, and fun motivators for the Language classroom. Join us! If you are interested in registering, please contact: bridget.couture@collingwood.org by April 1st. The 2018 Annual Conference will be held at the Westin Wall Centre Vancouver Airport on April 12 & 13, 2018. The programme is now available and the registrations are now open. ​Mme. Francine Frisson will open the conference sharing her vision of the place of language programs in schools with more than 25 years of experience as an administrator in numerous schools in three different provinces. The main thread of this year's conference is the redesigned curriculum's Core Competencies in the context of second language teaching. Since cultural identity is at the core of language learning and teaching, BCLCA is honoured to welcome Dr. Stelómethet Ethel Gardner, a Stó:lō and member of the Skwah First Nation in BC as the keynote speaker. Dr. Gardner will share her expertise on questions of identity, language, and culture in the context of Indigenous language revitalization, taking into particular consideration, the Halq'eméylem language. From February 19 to March 30, 2018, the Office of Francophone and Francophile Affairs (OFFA) at Simon Fraser University (SFU) presents Le Printemps de la francophonie 2018 at SFU , an event that celebrates the local, national and international Francophonie. The program includes a series of academic and cultural activities, held on the SFU Burnaby campus and in the Vancouver area, for those who are passionate about French language and Francophone cultures. 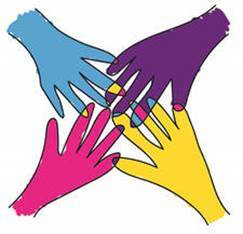 Le Printemps de la francophonie 2018 is an occasion to promote the value of French in a variety of ways and to foster the exchange between Francophones and Francophiles from near and far. OFFA is proud to offer a full month of events that includes something for everyone. Free concert with Aude Ray. This event is recommended for students in Grade 8 - 12. ​See the program flyer and form below for more details. Battling the myths surrounding second language learning with Dr. Mary O’Brien! CASLT is pleased to announce its Online Professional Learning session of Battling the myths surrounding second language learning with Dr. Mary O'Brien! Although language teachers believe in the far-reaching positive impact of second language learning, a number of myths still exist surrounding potential negative impacts. “My child will get confused!” and “They say it’s more beneficial to have children spending time learning skills that they can use in the real world!” This presentation will include a summary of the latest research findings from a variety of fields demonstrating how learning a second language can have a positive impact on a range of other skills and how our children can benefit from language learning. Participants will be armed with research-informed rebuttals to some of the most pervasive myths. This is session will be offered in English, but participants may use either English or French. **Please note: This session is open to CASLT members only. Teachers who purchased a BCATML membership at Super Conference 2017 receive an automatic one year membership to CASLT. You can become a member for $45.00 which will give you access to all of CASLT's online sessions and much more. Click poster link below for full details. Boost your confidence by spending a whole weekend speaking French! Learn second language teaching strategies! Take away resources that you can use right away! Get to know other French students, teachers, and teacher candidates! This online course is delivered using the edX platform. You will find useful information regarding the edX platform, the commitments for this course and how to register by visiting pdce.educ.ubc.ca/reconciliation/. It is recommended you watch the introductory video, and read the full description on the course. CASLT is pleased to announce its Online Professional Learning session of Supporting Oral Communication in the Classroom through Differentiated Instruction with Dr. Katy Arnett! This webinar will invite teachers to explore ways to create differentiated learning activities that support the development students’ oral language skills. The activities will consider ‘presentational communication,’ as well as ‘interactive oral communication,’ and will present various examples and approaches to differentiation to support oral language in the classroom. While the content is applicable to all language education programs, most examples will relate to the FSL classroom or classrooms with English-language newcomers. Join us for this exciting session; register now! This is session will be offered in English: participants may use either English or French during the session. Join us for a chance to win two airline tickets to Japan! Anime and manga fans! Wouldn't you like to greet people in Japanese with expressions used by manga and anime characters? Learn to speak like a samurai! This course is a course to experience the Japanese used in anime and manga, and was designed to share the joy of learning Japanese to people in Canada. This course consists solely of a one-time only Live Lesson aimed at level A1 people who have never studied Japanese before. During the Live Lesson participants learn the expressions of anime/manga characters, and then actually use those phrases while speaking. The tutor will use English, so feel free to participate even if you don't speak any Japanese at all. Currently there are 3 sessions for people to join! The Vancouver School Board is hosting its annual Languages Spring Conference. This year's keynote speaker is Dr. Mary Grantham O'Brien of the University of Calgary. This event will host a number of workshops for Core French, Intensive French, French Immersion, Japanese, Mandarin, and Spanish teachers on a variety of topics. From February 1 to 11, 2018, Visions Ouest Productions (VOP) presents the 24th edition of the Rendez-vous du cinéma québécois et francophone. Some thirty films from the national and international Francophonie, coming from here and abroad, will be presented at the Auditorium Jules- Verne, 5445 Baillie St, Vancouver (between Cambie and Oak at the corner of 37th Ave.), and from February 6 to 10, 2018, at the Goldcorp Centre for the Arts (SFU Woodward’s, 149 W Hastings St, Vancouver). Download the full schedule of movie titles and showtimes below. An adaptation of Okano Yuichi’s essay manga follows the daily life divorcee Yuichi a company employee who devotes himself to his manga and music. When his mother Mitsue develops dementia, he reluctantly decides to place her in a nursing home. As Mitsue spends time with its idiosyncratic inhabitants, her memories gradually lead her to retrace her past. Two high school boys grapple with their own humanity in a world where people are serviced by androids distinguished from their masters only by the halo-like rings above their heads. Public mores, enforced by the shadowy Robot Ethics Committee, dictate that androids be treated like appliances, and those who empathize with their robots are branded as "android-holics." Experience Vancouver in a whole new light at this one-of-a-kind celebration of Chinese Culture featuring 35+ massive lanterns, amazing performances, storytelling, food trucks, and a marketplace. Enjoy two performances each night featuring a variety of Chinese entertainment and art, including face changing, acrobatics, plate spinning, folk dance and more. 30% savings at the gate for BCAA Members. JALTA & CAJLE are co-hosting the Second Annual Japanese Language Teachers' Information Exchange Meeting at the Vancouver Japanese Language School on Saturday, January 20, 2018. This Master’s program offers teachers an opportunity to examine classroom practices from a research-informed perspective with a focus on issues of specific interest: curriculum innovation, multilingual pedagogies, Indigenous cultures and perspectives, technology and media, intercultural development, and game-based learning. Masters will begin in July 2018. The University of British Columbia has announced upcoming information sessions for the Master of Education in Modern Languages | French (FRM6) cohort program for teachers in Francophone, French Immersion, intensive and core French programs, starting July 2018. Please see below for the full details of the information sessions, and please visit the program website for information on accessing these online sessions: pdce.educ.ubc.ca/FRM6. Inquiries regarding the program should be directed to the Program Assistant, Linda Haftner, at linda.haftner@ubc.ca. EdCampBCCC is BC’s first EdCamp dedicated to the core competencies. What is an EdCamp? An EdCamp is a free, organic, participant-driven, un-conference that empowers educators to maximize professional learning experiences and peer networks. Participants choose the topics for the sessions and the conversations in the sessions are facilitated by participants. In 2010, Beijing Opera was declared an “Intangible Cultural Heritage of Humanity” by UNESCO. Now that you know our name, we invite you to come out and see an authentic performance! Beijing Opera's main expressive elements include hand gestures (more than 50 kinds of hand gestures), expressions in eyes, foot steps, singing, appearance, and the movements of long traditional dress sleeves. The identity of each character can be distinguished through facial makeup and costumes. By seamlessly integrating all of these elements, this traditional opera is highly visual and ornamental. The two protagonists, Xu Xian and Bai Suzhen, are deeply in love with each other despite their union being forbidden by supernatural laws. Xu Xian is a young scholar who falls for and marries a beautiful woman, Bai Suzhen. Unknown to him, she is actually a thousand-year-old White Snake that has taken on human form. A monk named Fahai, envious of their love, devises cunning plans to separate the couple. After many trials and tribulations, Lady White Snake persists in her love until the two are finally reunited. Please contact BCATML Mandarin Language Rep, Ping Li, for possible free tickets to this event. The Canadian Centre for Studies and Research on Bilingualism and Language Planning (CCERBAL) is currently accepting call for proposals for their 2018 conference called Translanguaging: Opportunities and Challenges in Global World that will occur on May 3-4, 2018. Séjour UBC is a workshop for pre-service teacher candidates enrolled in a Bachelor of Education program at either UBC or SFU. This fun-filled weekend allows teacher candidates to develop greater comfort and familiarity with French. Get to know other French students and teacher candidates! Learn how to recognize and manage common French errors! The programme is designed for French specialists who want to teacher/TOC in French immersion as well as Generalists who want to teach French at the elementary level. The programme is also open to anyone who is thinking about becoming a French teacher. See the poster (left) for more information. The Japanese Language Proficiency Test (JLPT) is designed to evaluate and certify the language proficiency of learners of the Japanese language. In Canada, the Japanese Language Proficiency Test is offered in Toronto, Edmonton and Vancouver. Registration is now open until October 6, 2017. Online Registration: Online registration is now open so interested individuals can apply for the test using the online system. You will need a PayPal account or credit card to pay the registration fees. Glenn Cake, moderator and teacher, will offer an Online Professional Learning (OPL) session on using Google Forms in the classroom at the end of November. Glen will once again teach the various ways to incorporate Google tools, especially Google Forms, in the classroom. Teachers will learn all they need to know from creating a Google form to releasing grades after a quiz submission. The session is offered twice in order to allow participants to choose the time that is most convenient. Register now in order to participate. Participants must be active CASLT members. Back by popular demand, BCATML will host another one-day Teaching Proficiency through Reading & Storytelling (TPRS) training event with Cowichan Valley Teachers in Duncan, BC. Come join us Saturday, November 25th, 2017 at Cowichan Secondary School along with Michelle Metcalfe and Adriana Ramirez as we delve into the wonders of TPRS. The Summer Institute in Education (SIE) offers excellent learning opportunities for all educators, as well as Teacher Qualification Service (TQS) upgrading and graduate electives. Designed for optimum flexibility, the courses cover a wide range of topics. Since 2007, SIE has offered a series of credited courses during the summer session at UBC's Okanagan campus. In the summer, the campus atmosphere is active and inviting. The interactive, experiential nature of the courses and the weekly social gatherings provide meaningful times for learning and networking. Join the hundreds of people who have found the Summer Institute in Education at UBC Okanagan’s campus an empowering and enjoyable learning experience. To INSPIRE learners/learning is the ongoing complex work of teaching. Investing in the strengths and needs of our local and global contexts informs the theme of the Summer Institute in Education (SIE) 2018: INSPIRE. We invite colleagues to submit course proposals focusing on recursive, immersive opportunities to explore and examine what professional knowledge looks and feels like within multiple educative practices in school and community sites. SIE courses will be designed to purposefully strengthen the journey of professional growth, intertwining theoretical, content, and pedagogical knowledge. This year, SIE courses, while serving the needs of post-baccalaureate and graduate students, will also serve as electives for teacher candidates enrolled in the Bachelor of Education program. In particular, the Summer Institute in Education is seeking 3 credit course proposals to meet the professional and academic requirements of all educators including teacher candidates. To enhance the educational experiences of all children, youth, teacher candidates and teachers. To ensure that the conditions, supports and practices are in place for teacher candidates to gain optimal induction into the profession. To further the professional growth of school and community sites. To strengthen education’s empowering roles and significances in the lives of communities. To inspire and to be inspired is at the crux of SIE 2018 investing in professional learning over the continuum of an educator’s career through an IN-situ Scholar-Practitioner Inquiry to Re-imagine Education (INSPIRE). Inspire builds on the Faculty of Education’s tradition of gathering educators, leaders, community members, and scholars seeking to develop critical and creative understandings of teaching and learning. This year’s theme offers participants the opportunity to examine and interrogate practice, praxis and research as they explore new directions in curriculum, assessment and technology within stimulating and dynamic contexts. By engaging with the complex and multifaceted layers of practice and inquiry, SIE 2018 positions that critical understandings of theory and pedagogy promote and provide conditions and emergence of optimal pedagogical experiences. Do you want to experience the 2017 ACTFL Annual Convention and World Languages Expo in Nashville, TN, from Nov. 17-19, 2017? Submit a proposal to be considered to present before Jan. 13, 2017, and visit https://www.actfl.org/actfl2017/call-proposals! Be a part of the experience! Now it’s time to get serious about taking your idea and turning it into a convention proposal. Submit a proposal to be considered to present at the 2017 ACTFL Annual Convention and World Languages Expo of the American Council on the Teaching of Foreign Languages (ACTFL) in Nashville, Tennessee, November 17-19. With the ACTFL Convention featuring more than 800 sessions covering a wide variety of topics at all levels and languages, the Convention Committee is seeking sessions that help language educators be better able to develop their students’ critical-thinking, creativity, communication, collaboration and problem-solving skills. Share your brilliant idea that will give attendees that “wow” experience and send them back to their schools with many takeaways! The entire selection process is designed to provide attendees with a broad array of sessions and events to further their knowledge and skills to become better, well-informed teachers, professors, and administrators. We welcome language educators at all levels and of all languages to submit a proposal. Please note: When you login, it is very important that you carefully read all the information in the Submission Guidelines and Presenter Responsibilities before proceeding to complete your online submission. The submission deadline is Friday, January 13, 2017. All proposals for consideration must be submitted online and none will be accepted after the deadline date. Multimedia exhibition that showcases the varied forms of writing throughout Asia spanning hundreds of years. Curated by Fuyubi Nakamura. This exhibition will showcase the varied forms of expression associated with writing throughout Asia over the span of different time periods: from Sumerian cuneiform inscriptions, Qu’ranic manuscripts, Southeast Asian palm leaf manuscripts and Chinese calligraphy from MOA’s Asian collection to graffiti art from Afghanistan and contemporary artworks using Japanese calligraphy, and Tibetan and Thai scripts. BCATML is proud to participate in the Super Conference this fall! Super Conference is a celebration of the BC Teachers' Federations' (BCTF) hundredth year. It is the collaborative effort of 25 Provincial Specialist Associations (PSAs) to host 6000 teachers, hundreds of workshops, over 30 keynotes, and over 275 presenters in downtown Vancouver. The Association canadienne des professionnels de l'immersion (ACPI) will host its 41st annual conference from Nov. 2 - Nov. 4 2017, at the Delta Hotel in Charlottetown, Prince Edward Island. This year's theme is "Bercé par les mots au gré des flots." Teachers, administrators, pedagogical counselors, researchers and students will all attend and search for the latest resources, new work-tools, and innovative ideas to develop the best practices in immersion education. Reserve your booth by completing the ACPI Exhibitor Form. For more information, consult ACPI's Congress website.